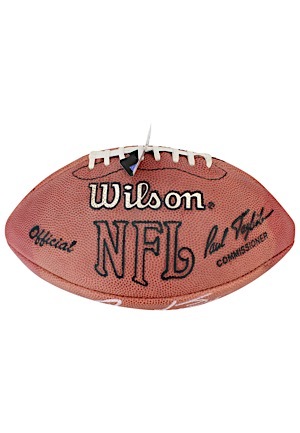 Wilson manufactured official NFL dual-signed by the two first picks in the infamous 1998 NFL draft, Peyton Manning and Ryan Leaf. Both players signed on the same panel in silver marker and in our opinion the signatures rate a combined 7.5. 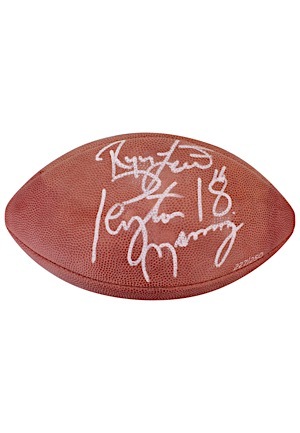 Next to the signatures the ball is numbered “227/250”. Accompanied by a LOA from JSA.